As the year closes and the tax-filing season looms, employers may question the status of Affordable Care Act (ACA) reporting. Is it still a requirement? And will it be enforced? The answers are yes and YES! ACA is still the law of the land, and employers who ignore their responsibilities under that law could face costly penalties. The ongoing efforts of the current administration to “repeal and replace” the ACA have given many employers the false idea that compliance with ACA reporting requirements is optional. Additional confusion was triggered by the Tax Cuts and Jobs Act passed in late 2017. The tax legislation modified the individual mandate requiring individuals to have ACA-compliant health coverage (by removing the penalty for non-compliance). But this doesn’t go into effect until 2019 and, more important, the employer mandate still stands. This means all affected employers – mostly applicable large employers (ALEs) with 50 or more full-time (or full-time equivalent) employees — must file 1095-C reporting forms and supply copies to employees by the IRS deadlines. 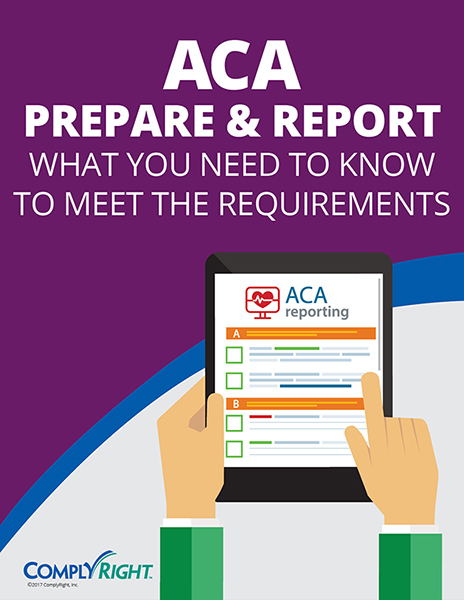 ACA reporting for employers remains unchanged by the new Tax Act. Although the IRS has been slow to respond to ACA reporting violations in the past, this will no longer be the case. In mid-2017, the agency completed work on a sophisticated system designed to enforce the rules and target employers who don’t comply with the Employer Shared Responsibility Payment or annual reporting requirements. First, the IRS sends out Letter 5699, stating that it believes an employer was an ALE but neglected to provide the proper ACA information. It asks the employer to confirm the name used when filing, the Employer Identification Number (EIN) and the date the ACA information returns were submitted to the IRS. 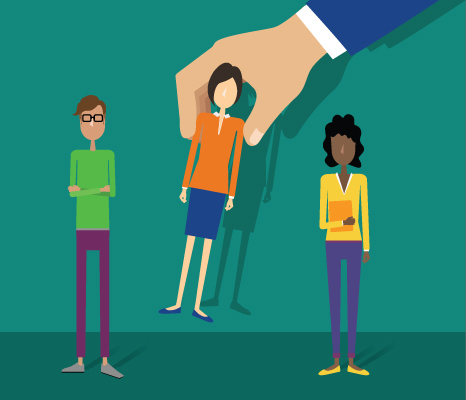 From there, the IRS sends out Letter 226J to notify employers of any penalty assessments. To date, over 30,000 letters have been sent levying over $4 billion in fines. Keep in mind: Missing the deadlines for furnishing and filing ACA forms can cost as much as $270 a return, and intentional disregard can amount to $540 a return. Also, although you may file Form 8509 for a 30-day extension for filing with the IRS, this does not impact the mandatory Jan. 31 date to furnish forms to employees. Due to the IRS following through with enforcement – and the increased penalties for non-compliance – it’s critical to stay on track. You can ease your ACA form-filing burden by working with an online tax-filing service such as efile4Biz. With efile4Biz’s affordable and efficient service, you just upload your ACA form data (or complete the forms online) and the service provider does the rest — including e-filing the 1095 forms with the IRS and, optionally, printing and mailing the 1095 forms to recipients.